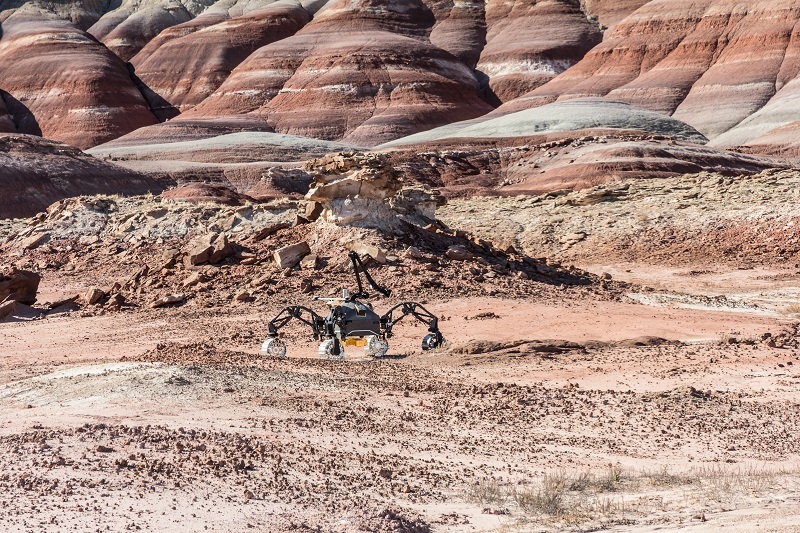 According to a press release by the Robotics Innovation Center in Bremen, Germany, the center started a four-week field test campaign in November 14 through December 14, on the northern part of the Moroccan Sahara as part of the European Union’s Strategic Research Cluster (SRC) on Space Robotics Technologies. The overall goal of this strategic research cluster (SRC) is to enable major advances in Europe’s space robotic technologies. The project is a joint collaboration between the European Space Agency (ESA), the German Aerospace Center (DLR) and the national space agencies of France, Spain, Italy, and Great Britain.